Mujhe Bhi Khuda Ne Banaya Hai is a Pakistani drama serial which is aired on Pakistani drama channel A Plus. This serial getting most watching rate because of the leading role of Sanam Chaudhry, Humayun Ashraf, and Yasir Mazhar. 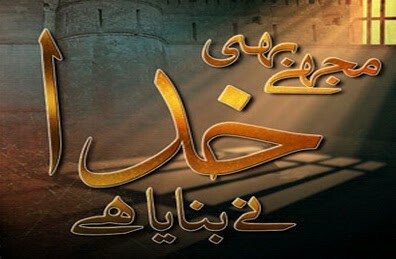 This serial is based on love and jealousy story written by Irfan Mughal. If you are looking for Mujhe Bhi Khuda Ne Banaya Hai drama actors names, timings, on-air days, photos, and OST title song then you can find these here. You can also find the public opinion and reviews about Mujhe Bhi Khuda Ne Banaya Hai drama here.